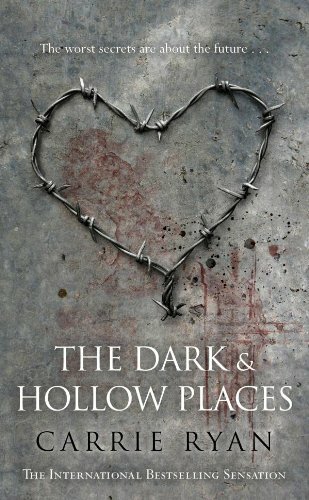 The Dark and Hollow Places is the third in Carrie Ryan's excellent series. This review, therefore, contains spoilers regarding both The Forest of Hands and Teeth and The Dead Tossed Waves. Annah has been alone ever since Elias left her – three long years in the Dark City, scavenging for food, weapons and survival amidst the throng of Unconsecrated. 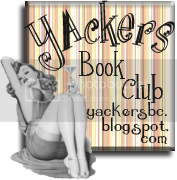 Scarred and desperately lonely, Annah merely survives, her life barely meriting the word. Unsure of why Elias left, she’s convinced herself that his departure must have been somehow tied to the fact that they abandoned her twin sister alone in The Forest of Hands and Teeth as children, an event that has been eating Annah from the inside out in the intervening years. It is this memory that finally spurs Annah into action. She decides to return to the forest, to search for her sister. However, as she begins her long journey she sees, amazingly, the sister she lost so very long ago, captured by recruiters after trying to save a strange young man and so Annah finds her life intertwined with that of Catcher as she tries to atone for past mistakes by finally finding Gabry. Annah is perhaps the least accessible character yet feature in Carrie Ryan’s series. She’s so entirely consumed by her scars, her guilt and her abandonment by Elias that it’s hard to see what kind of girl actually lies beneath it all. In all truth, the original Annah was lost in the Forest of Hands and Teeth as surely as her sister was. However, as the novel progresses and Annah gains purpose it quickly becomes clear that she has extraordinary fortitude both mentally and physically. She has, over the course of her life, survived against impossible odds and when she now finds her back once more against a wall she fights with a determination and fervour that is nothing short of exhilarating. Cleverly, Carrie Ryan has matched Annah in character not to Gabry, Elias or even Catcher, but to the head recruiter Ox and this embodies Annah with a moral ambiguity that makes her even more fascinating. As with all Ryan’s books, the supporting characters are no less interesting than the protagonist. Elias clearly feels guilt over abandoning Annah but he also understands his reasons for doing so and explains them clearly and with little apology. Off all the characters, he is the one who makes the toughest decisions and places his friends in the hardest of situations yet his driving force is love – and an inherent hope – and so it is hard to criticise any of his actions. Gabry, in comparison to Annah, seems calm and composed. The differences between the sisters are stark and Gabry is clearly aware that her luck in being brought up by Mary has much to do with this. She could have been portrayed as fragile, or suffered from survivors guilt but she remains strong and fights a quieter and more hopeful fight than her sister. Catcher, though, is certainly the most fascinating. Caught between life and death he is at times almost consumed with both self-loathing and fear. Able to walk unharmed among the Unconsecrated, he is overwhelmed by his ability and yet inability to help his friends. Of all the characters featured he is the least ambiguous, ironically the shining beacon of humanity in an increasingly inhumane world. The plot of The Dark and Hollow Places is less complex than that of The Dead Tossed Waves. There are fewer characters and the situation that they find themselves in is a simple one. 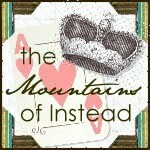 Ryan, once again, writes beautifully, using simple prose to illustrate the horror of her characters’ plight. And it is horrific. However, as previously, Carrie Ryan holds back from outright shock and awe, saving this for only a few memorably grim sequences. Annah’s bone-chilling journey through frozen subway tunnels is particularly frightening. Ultimately, like all the best in the genre, the horror of The Dark and Hollow Places is not created by the hoard of Unconsecrated but rather seen in the inhumanity that man can show to man when pushed to extremes. Ryan embodies this in the form of the hideous Recruiters and it is in this group of men that the true terror of The Dark and Hollow Places really lies. The ending of the book is surprising, imaginative and while at first it may seem rather fantastical provides readers with starkly beautiful imagery and hope while leaving the characters in a situation that in reality would garner neither. As a series, The Forest of Hands and Teeth, The Dead Tossed Waves and The Dark and Hollow Places stand above many others on the YA shelves. They most certainly stand head and shoulders above the many other zombie offerings. Largely this is to do with Carrie Ryan’s shocking yet simple vision of a world overwhelmed by an unstoppable plague and her ability to focus on just two or three personal stories within this hell. I highly recommend these books not only to readers who love the horror genre, or a good zombie story, but also to those who have little interesting in either – for you, these should be truly eye-opening. Beautiful prose that's so evocative I feel like rushing out to buy a series of books I've never really 'got'. Thank you - and also, curses! I have so little space on my shelves.